Christmas is around the corner, and I’m sure you’ve been looking for options for your Vegan Mexican Christmas menu. I have crafted this incredible menu for you with the help of some blogger friends, so you can have a feast this Christmas. 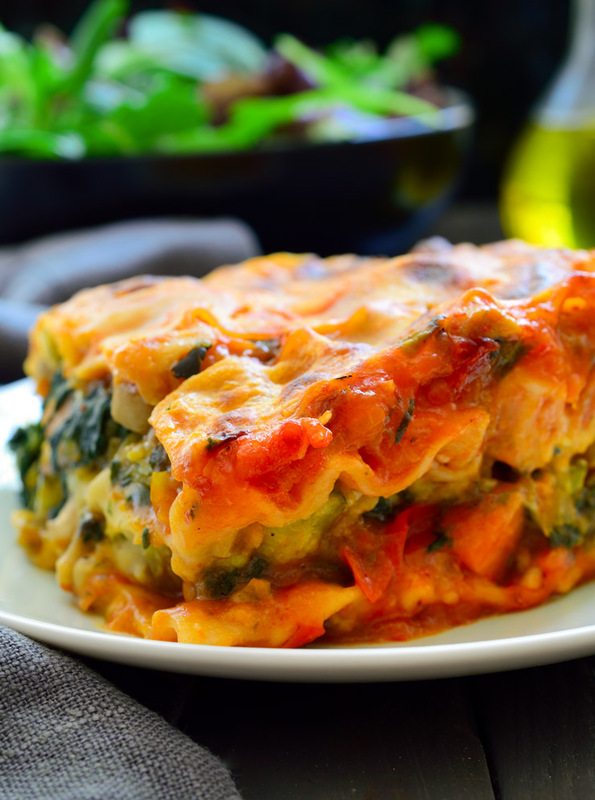 I wanted the menu to be similar to what a Mexican family might have for their Christmas Eve dinner, so there are some non-Mexican dishes like lasagna on there, because I do know families that make lasagna for Christmas. 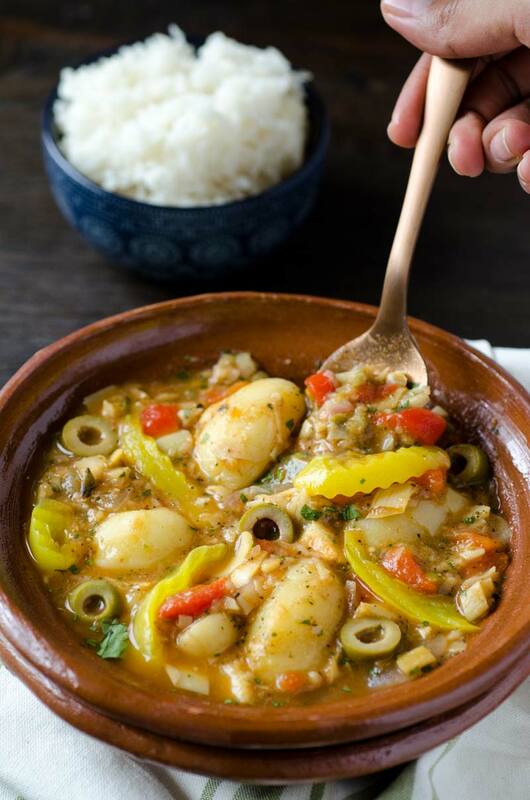 What are some of your favorite dishes?? 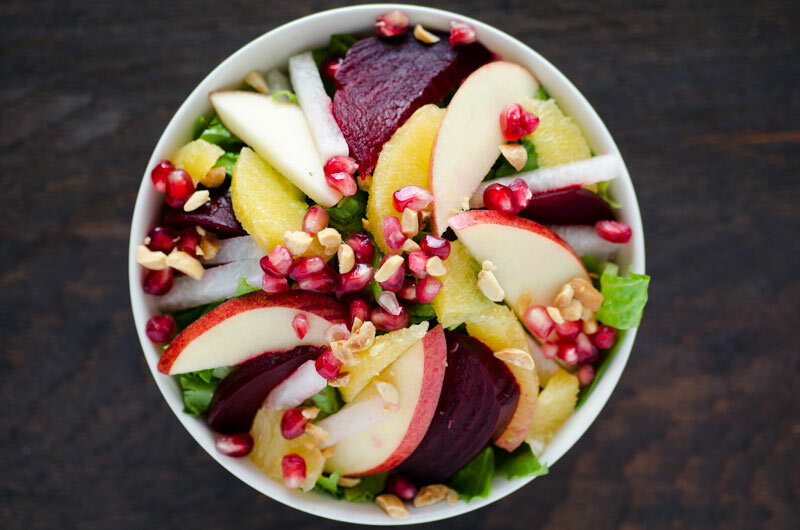 A refreshing salad of romaine lettuce, roasted beets, oranges, jicama, pomegranate, and peanuts. Find the recipe here. 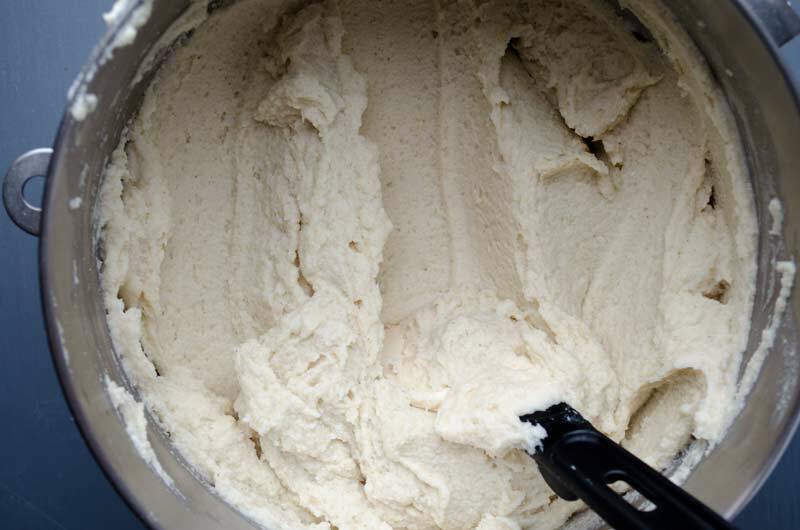 Make a cheese platter with these macadamia nut cheese. 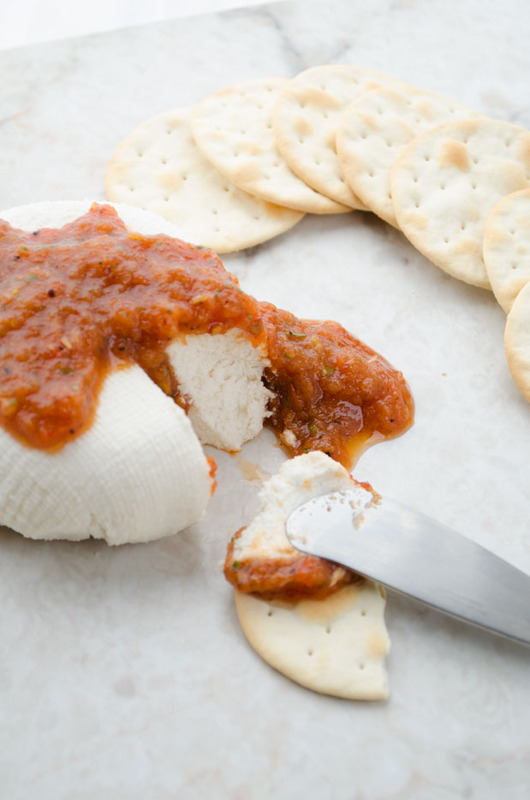 It pairs well with nuts, fruits, and crackers or toasted baguette. Find recipe here. 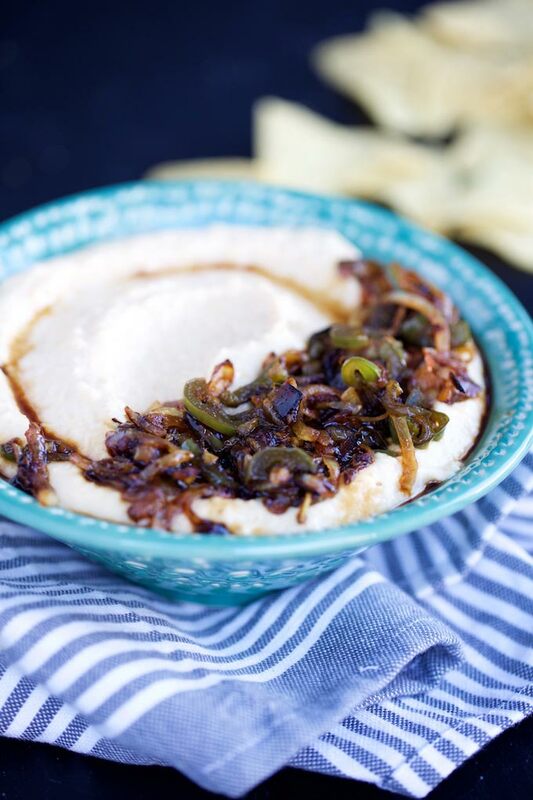 This spicy hummus is perfect for dipping veggies or tortilla chips. Find recipe here. They are crispy and golden brown, but warm and satisfying. Great finger food! Find recipe here. 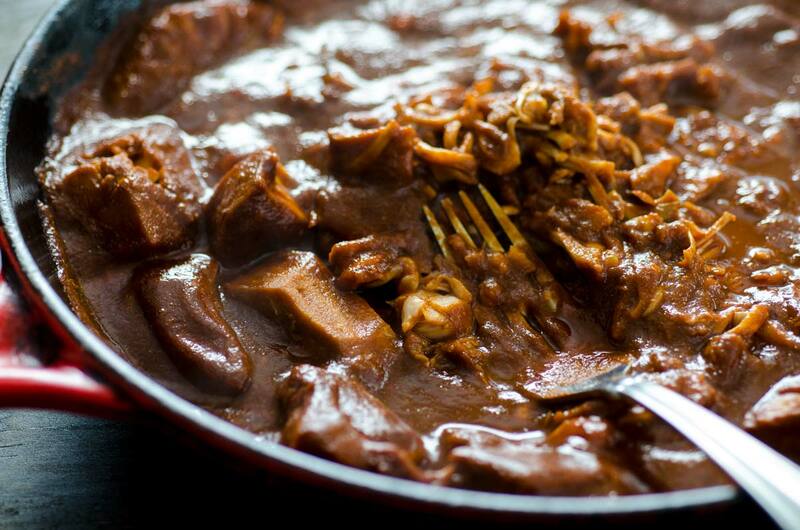 Jackfuit replaces the pork in this recipe with great results. Serve with tostadas, radishes, lime juice, and cabbage. Find recipe here. 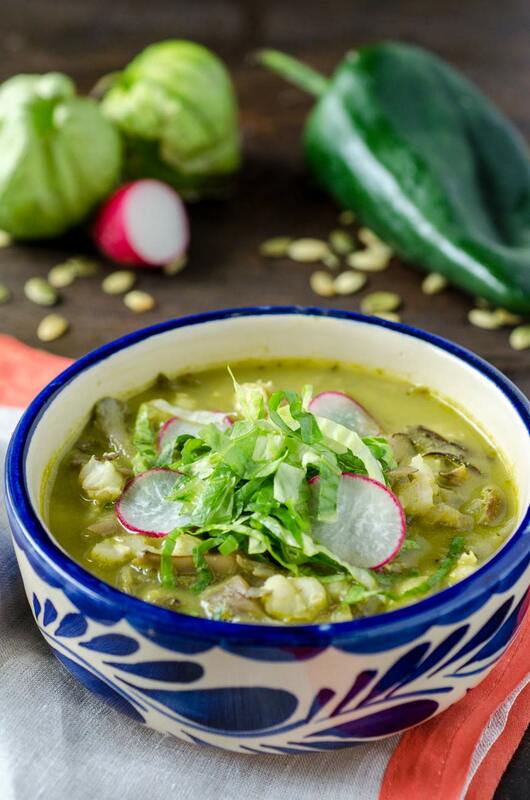 The green version of pozole is flavored with poblano peppers, tomatillo, and jalapeño. Find the recipe here. What?? It is possible. This recipe uses oyster mushrooms to replace the pancita. Find recipe here. 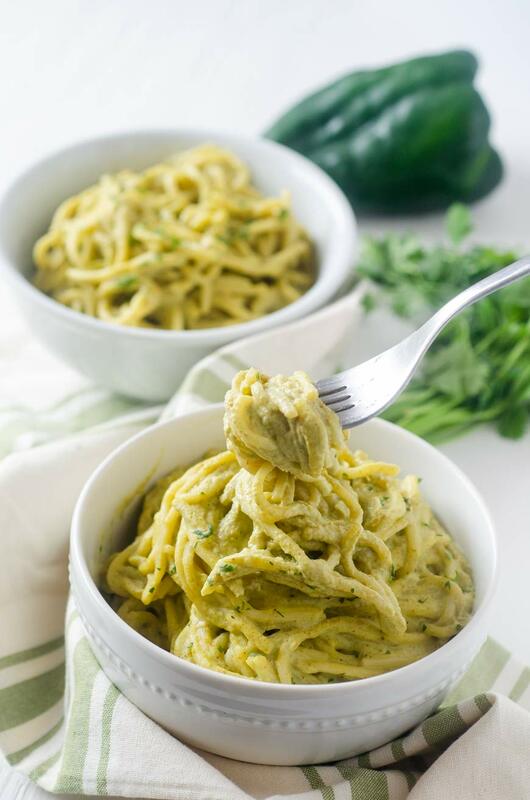 Spaghetti in a creamy poblano pepper sauce. It’s just the right amount of spicy. Find recipe here. Lasagna on Christmas?? Yes, even Mexicans eat lasagna. It makes for a good entree. Find the recipe here. Tamales filled with potatoes in adobo sauce. Serve just out of the steamer. 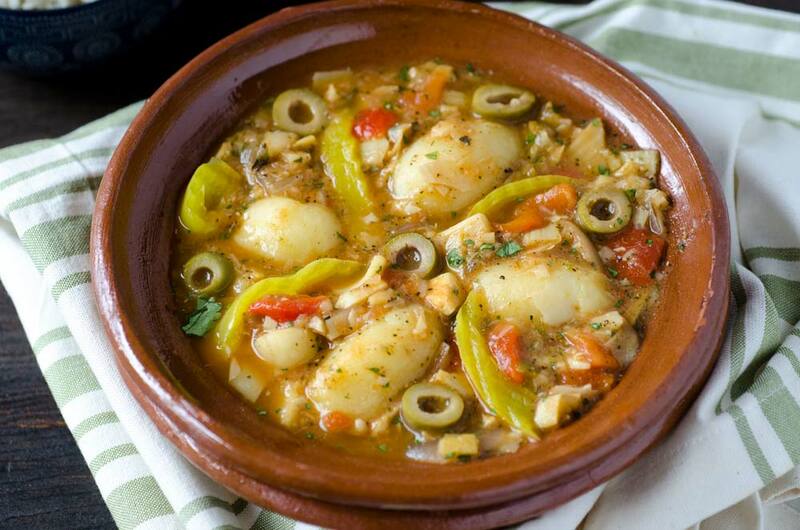 Find recipe here. 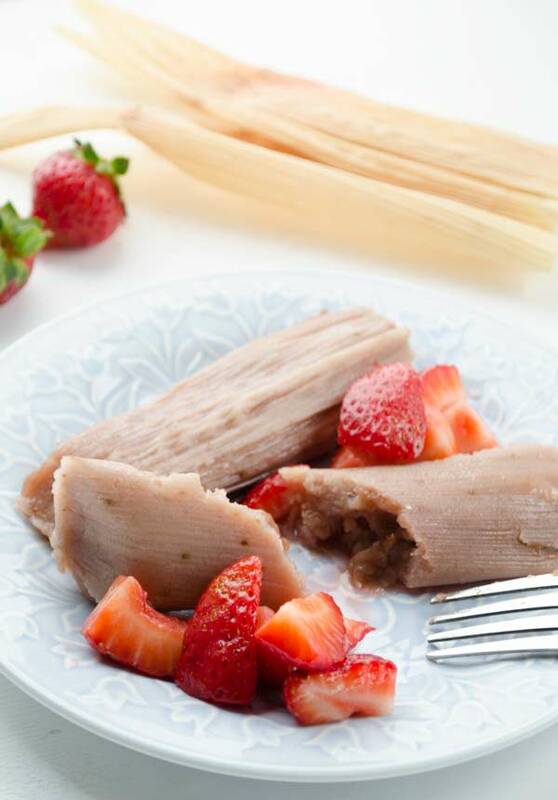 Jackfruit once again replaces pork in this northern Mexico version of tamales. Find recipe here. Fried dough sprinkled with cinnamon-sugar. For sure a childhood favorite. Find recipe here. Also known as hojarascas. I like them sprinkled with cinnamon sugar, but you can also do powdered sugar. Find recipe here. 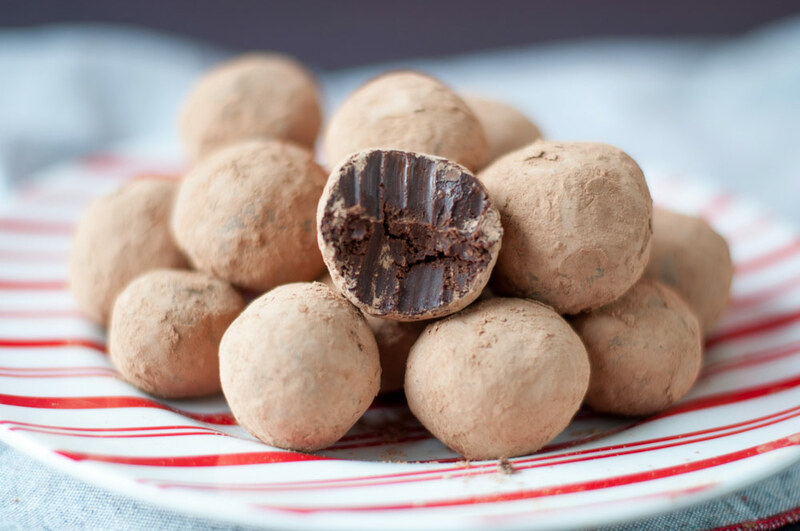 Rich an boozy truffles that are great for gifting. Find recipe here. If you are not familiar with sweet tamales, you have to try these first. Find recipe here. Filled with semi-sweet chocolate chips, and pecans. Find recipe here. A hot spiced fruit punch. Served with or without alcohol. Find recipe here. Unlike any hot chocolate you’ve ever had. It is thickened with masa or masa harina. Find recipe here. A warm corn based beverage, meant to warm you up this winter. Find recipe here. 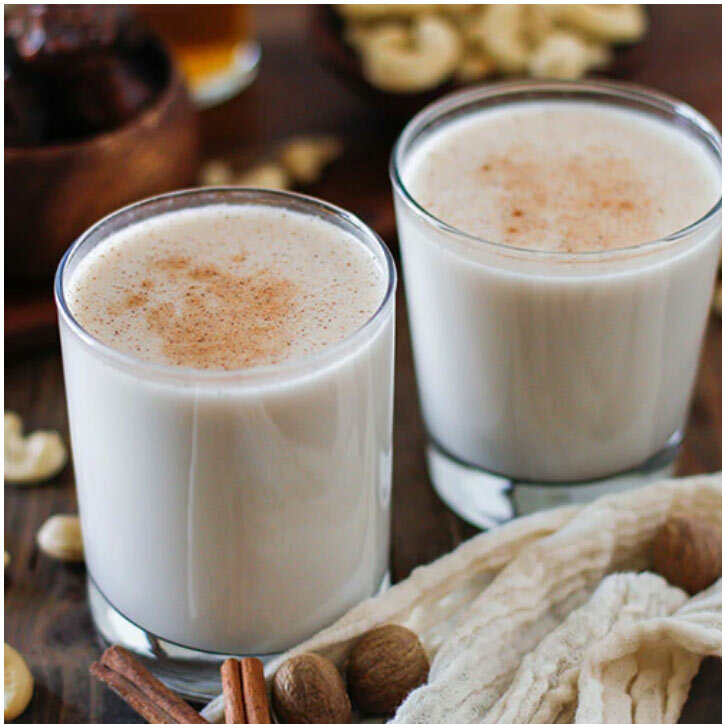 Mexican eggnog. Also a traditional Christmas drink. Find recipe here. 12/16/2018 /0 Comments/by Dora S.
These vegan hojarascas, also known as polvorones, are scented with ground anise and orange zest, and dusted with cinnamon sugar. 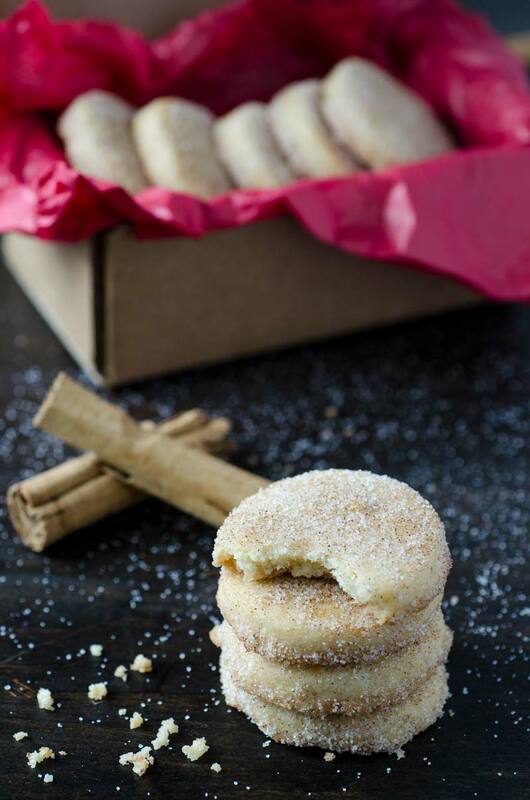 In the US these are known as Mexican wedding cookies, and are dusted with powdered sugar. In northern Mexico, where I’m from, they are very popular during the Christmas season. You can see them displayed in panadería windows, and are often given as gifts. This is the mother of all cookie recipes (cue angelic choir). It might just be one recipe, but you can make many different kinds of cookies, I made 3, apricot thumbprint cookies, hojarascas dusted with cinnamon sugar, and pecan hojarascas dusted with powdered sugar. On the other hand, if anise and orange isn’t your thing, you can add ground nuts, dried fruits, or even coat them in chocolate. Our favorite cookie out of the three was a small round one dusted in cinnamon-sugar. Now that we live in San Antonio visiting family is so much easier, and I am very happy to be spending Christmas in my childhood home. My mom goes all out on the Christmas decorations, and the kids are so excited about Santa coming and are counting down the days. 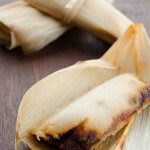 We are making tamales tomorrow for Christmas eve, and are planning all sorts of games and activities for the children. I hope you have a Merry Christmas and a Happy New Year!! The recipe is so simple. 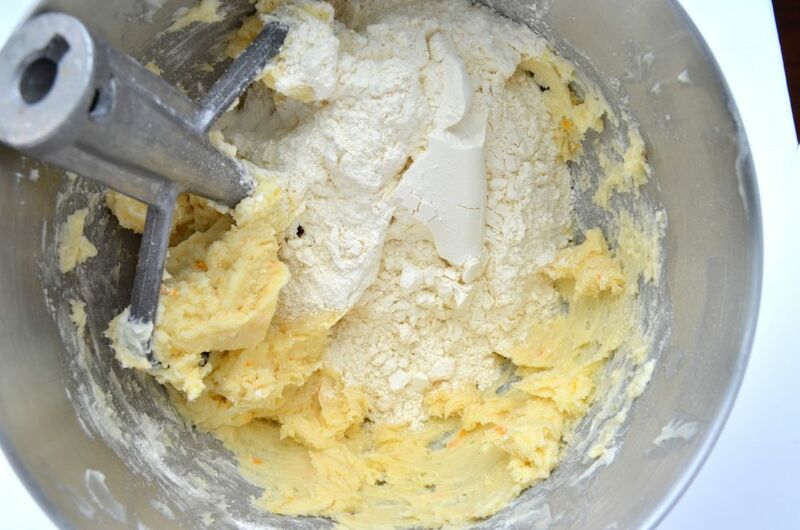 You cream butter and sugar, then add the orange zest, anise, and vanilla extract. You can add 1/4 cup of finely chopped pecans if you like nuts, then dust with cinnamon sugar or powdered sugar depending on your preferences. ¡Enjoy! 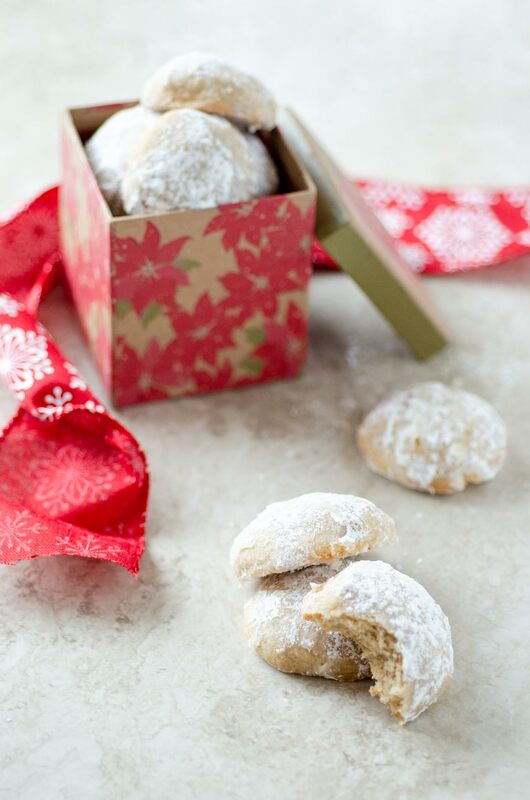 These vegan hojarascas, also known as polvorones, are scented with ground anise and orange zest, and dusted with cinnamon sugar. 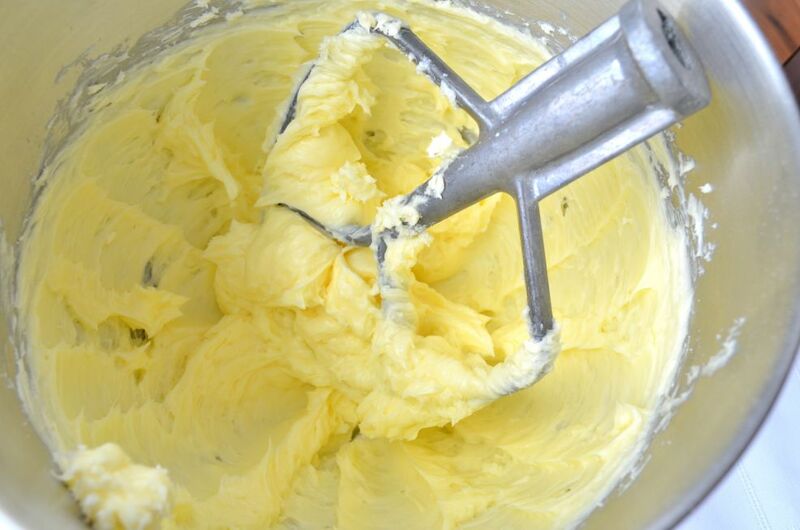 Cream butter and sugar, in an electric mixer with the paddle attachment. Add vanilla, orange zest, and ground anise. Mix. Slowly add flour, with mixer at low speed. Mix until well combined. Line 2 sheet-pans with parchment paper. Roll out dough on a floured surface to ¼ inch thick and cut into desired shapes (you can also roll dough into 1 inch balls and bake them that way). Place cut dough on sheet-tray, 1 inch apart from each other. Bake for 15 minutes or until bottoms become golden brown. Remove from oven. As soon as they are cool enough to handle, dust with cinnamon sugar. You can add ¼ cup of finely chopped pecans to the dough if you like and eat nuts. 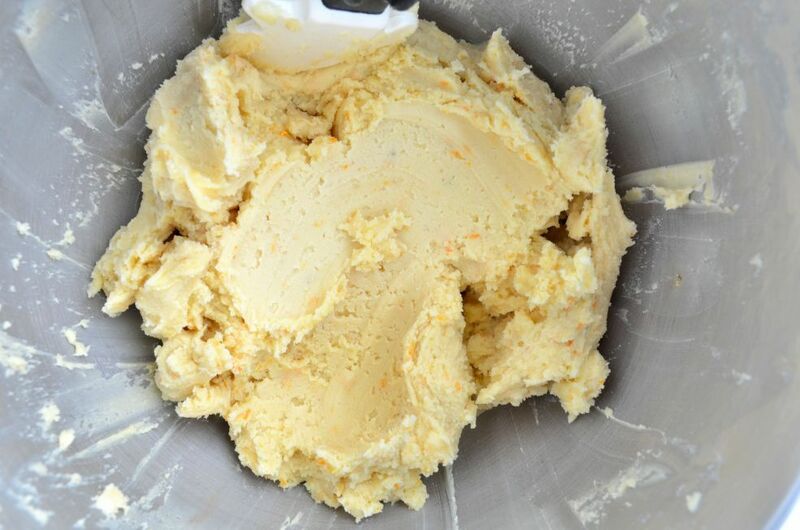 You can also use this cookie dough recipe to make thumbprint cookies. 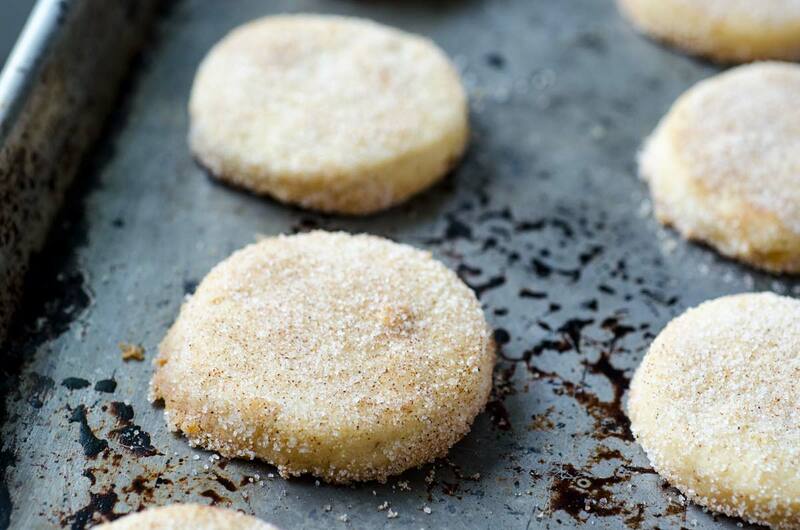 Dust with powdered sugar instead of cinnamon sugar for a more Mexican wedding cookies look. 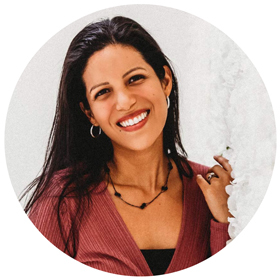 12/26/2017 /0 Comments/by Dora S.
It’s that time of year again when the cold starts creeping in and we yearn for a nice mug of hot chocolate and a tamal. If you have never tried a sweet tamal you are in for a treat. 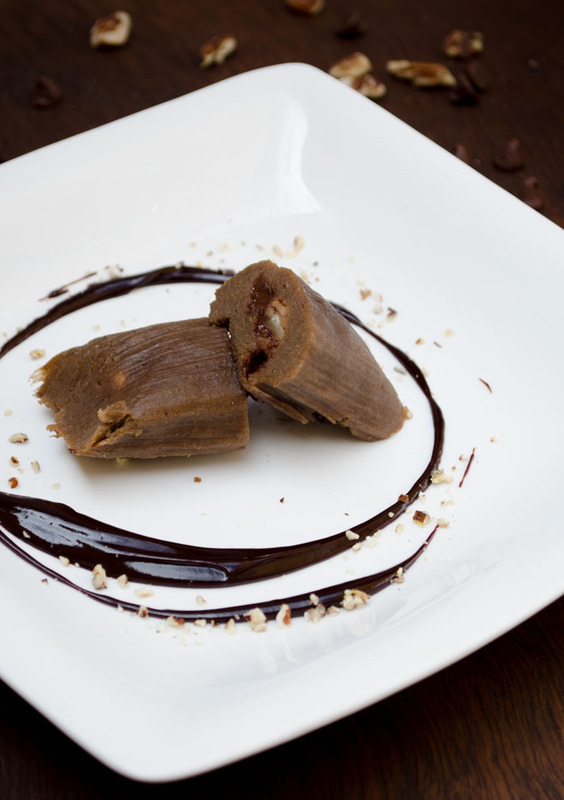 These vegan chocolate tamales are made by beating vegan butter and sugar, adding corn masa flour, ground Mexican chocolate, cinnamon, and warm almond milk. It is filled with bittersweet chocolate chips and chopped pecans. 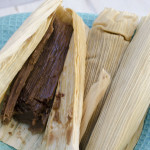 The best tamal is a warm tamal just out of the steamer, and the scent of cinnamon and the melted bittersweet chocolate interior of this tamal will surely conquer your taste buds. We love tamales in this house both savory and sweet. 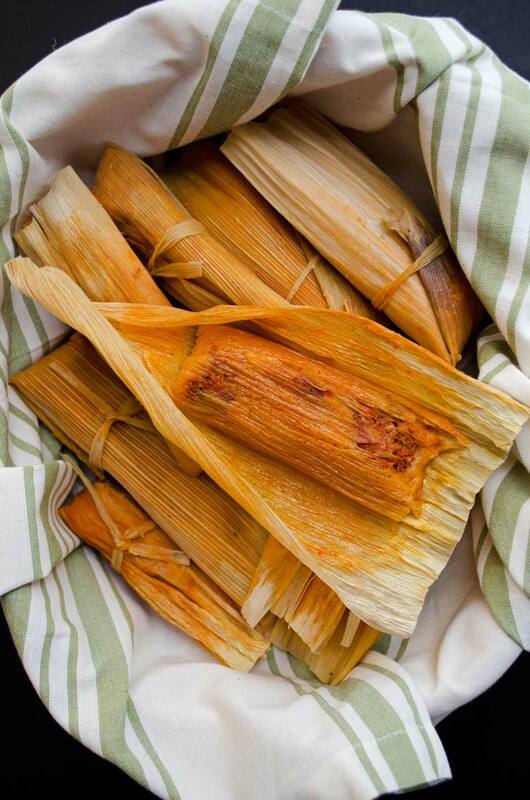 Our favorites are the red chile jackfruit tamales, potato adobo tamales, and strawberry tamales. 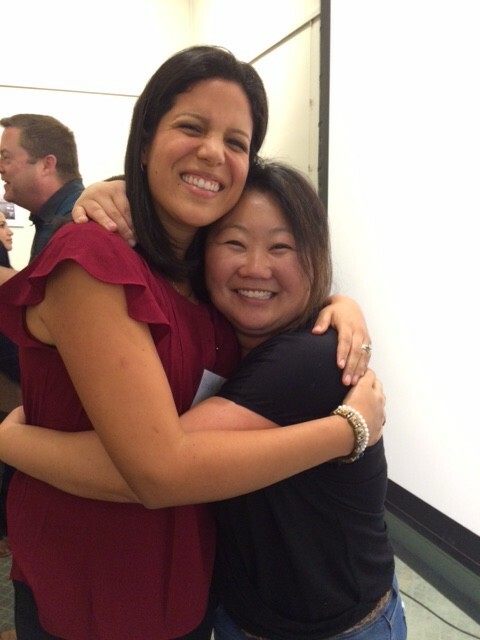 We love them so much that two years ago I self-published an ebook to help you make all kinds of vegan tamales. 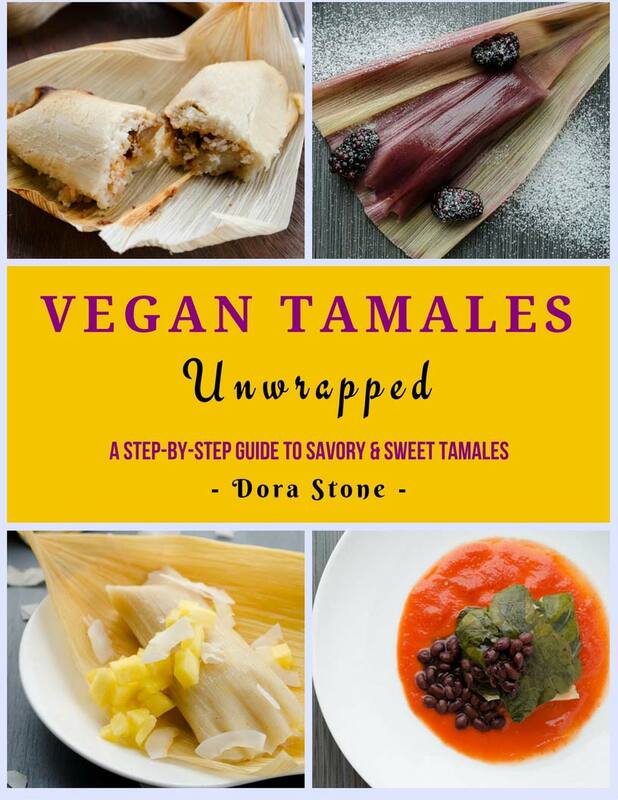 The book is called Vegan Tamales Unwrapped and contains over 18 different vegan tamal recipes for you to enjoy this Christmas season, with a step-by-step picture guide to making the dough, wrapping the tamales, and placing them in the steamer. 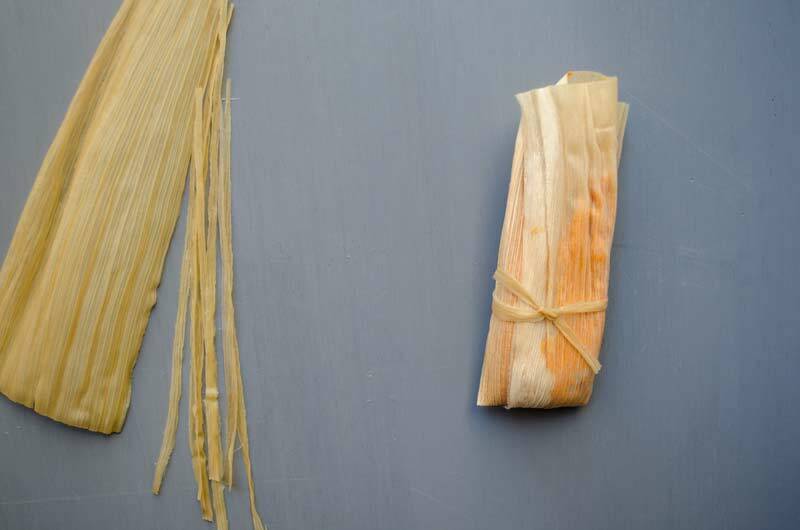 The recipes include both savory and sweet tamales. Recently, while doing some research on tamales I read that there is very little evidence that tortillas were part of the Mayan diet, at least not until 900 AD. 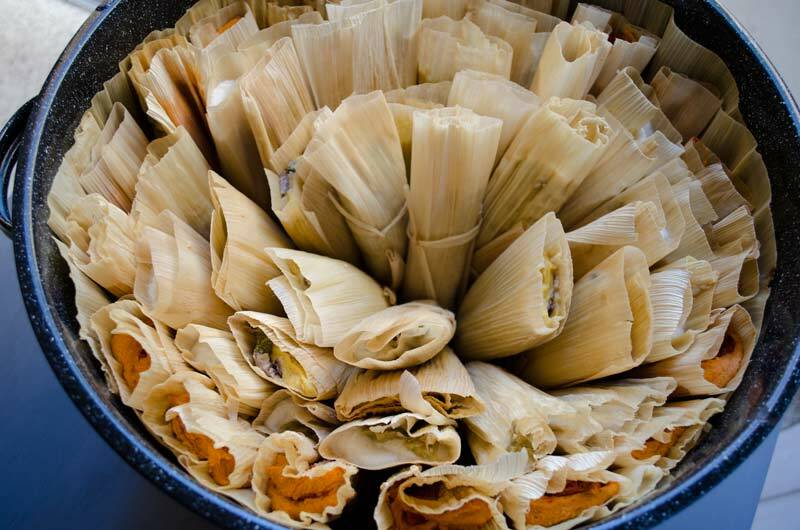 However, tamales can be found in the Aztec and Maya civilizations as far back as 7000 BC according to their hieroglyphs. It is thought that they were often carried by warriors, hunters, and travelers since they are the perfect portable food individually wrapped in corn husks. Who would have thought??? 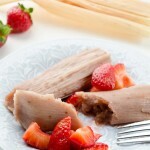 If you would like to make these tamales with fresh masa, replace the masa harina with 2 lbs. of fresh masa. I used Ibarra chocolate for this recipe, but there are many other vegan options. 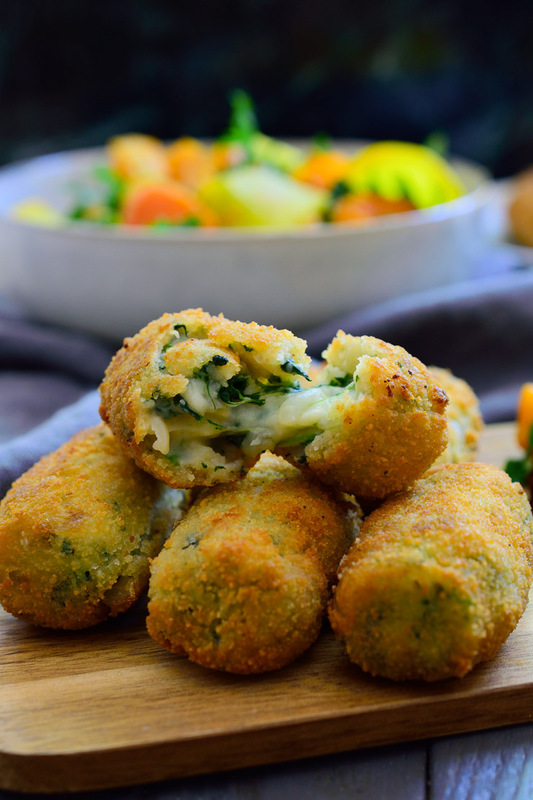 You can also make these with coconut oil or vegetable shortening. If you would like to make these without fat, use unsweetened pumpkin puree to replace the fat. Vegan Chocolate tamales filled with roasted pecans and chocolate chips. If you would like to make these with fresh masa, replace the masa harina with 2 lbs. of fresh masa. You can also use 8 oz. of coconut oil or 8 oz of cooked, unsweetened pumpkin to replace the fat. 11/04/2015 /10 Comments/by Dora S.
One of the greatest things about Christmas is tradition, making new ones and reliving old ones. Traditions are a simple way of transmitting our values and our culture, making us part of history, thus becoming the glue between the past and the present. Mexican culture has many Christmas traditions, they vary from family to family and region to region, but some of them transcend all differences and have been part of the culture for centuries. Are part of a Roman Catholic tradition called a Novena, which in this case consists of 9 days of prayer prior to Christmas in order to obtain special graces. The passing of time and the jovial nature of the Mexican culture has transformed this tradition into 9 days of partying. 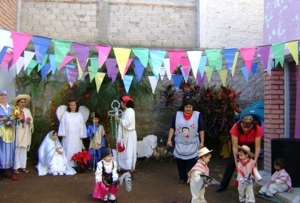 Most posadas include pedir posada (reenacting the journey of Mary and Joseph trying to find a place in the Inn through song), a pastorela, the breaking of the piñata, and of course a small feast. Are plays or artistic representations of the story of baby Jesus. They take place in the days before Christmas, at schools, churches, or outdoor settings. They were first introduced by the Spanish missionaries in the 1500’s as a means of teaching the faith and the bible to the Indians. Is usually in the shape of a star with seven peaks, representing the 7 deadly sins. 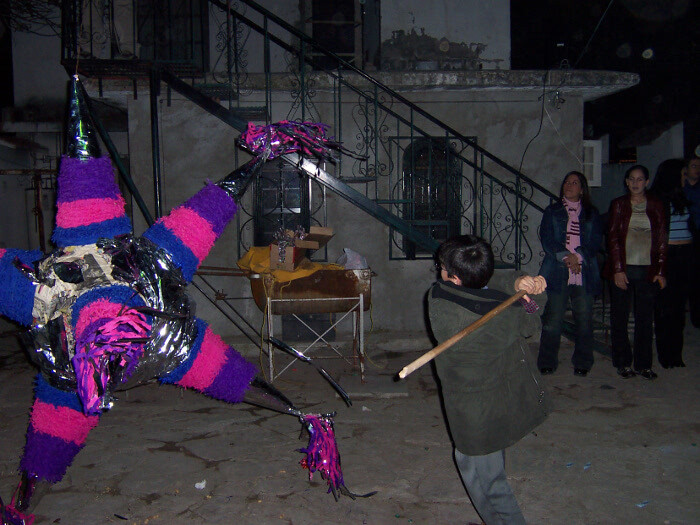 The person with the stick represents the faith, and the candy represents the temptation of evil. Pretty deep stuff! Even though the religious significance continues to get watered down through the years, the kids really enjoy it and some grown ups do too. Nativities were also introduced by the Spanish missionaries, but their origin can be traced back to Italy around 1223, where St. Francis of Assisi recreated the nativity with people, animals, and a little house made of straw. The live nativity tradition caught on in Europe and later evolved into figurines in people’s homes. When the nativity was adapted by the indigenous people of Mexico, it transformed into a scene of vivid color, with dark skinned characters made with materials such as glass, silver, lead, wood, or wax. Today, nativity scenes are rarely historically accurate. 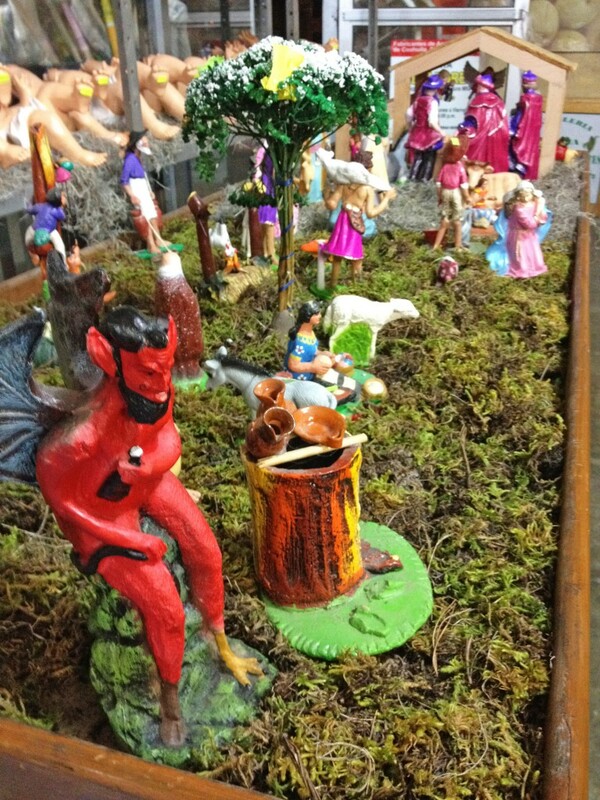 They are decorated with green shrubbery, cactus, and maguey; they can have figurines like the mail man, milk man, the baker, and even the devil; and the size of baby Jesus can sometimes border on the ridiculous. Baby Jesus can almost be as large as the Mary and Joseph figurines or very, very tiny. 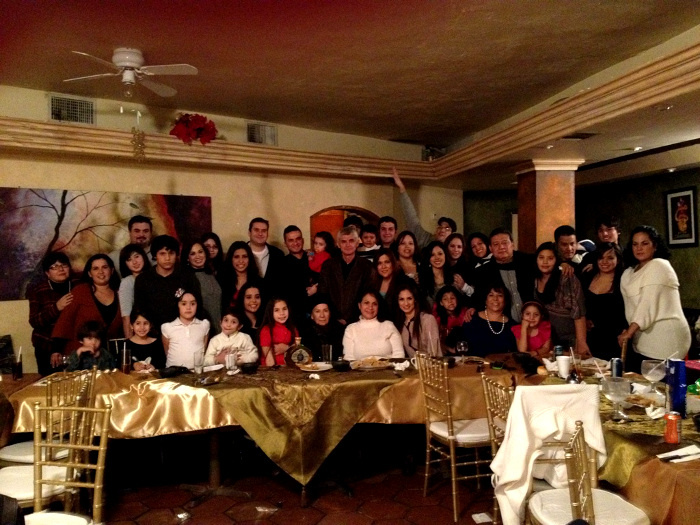 Christmas dinner in Mexico is usually celebrated on Christmas Eve, instead of Christmas day. Some families attend midnight mass, and some don’t. It is on this night when a large figurine of baby Jesus is laid down to rest in the manger and everyone adores and celebrates his birth. The dinner differs from region to region, but in our case we have turkey, stuffing, mashed potatoes, tamales, pozole, menudo, ponche, and beer or wine. Dessert would be buñuelos or my Tia Laura’s famous frozen cheesecake. Fireworks came to Mexico in the 19th century and were used (and still are) for ceremony and religious purposes. 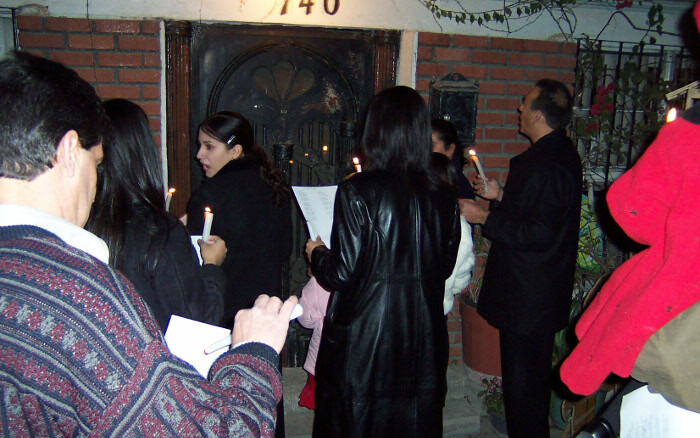 For Christmas, churches will light them after midnight mass or families set them off in their back yards to celebrate the birth of Christ. Santa is becoming more popular in Mexico, especially in the border towns, but most kids get their gifts in January 6th, on the feast of the Epiphany. Traditionally the children leave a note for the Magi in their shoes, the night before, and place them under the Christmas tree or outside. The Magi respond by bringing them gifts the following morning, just as they brought gifts to the Christ child. 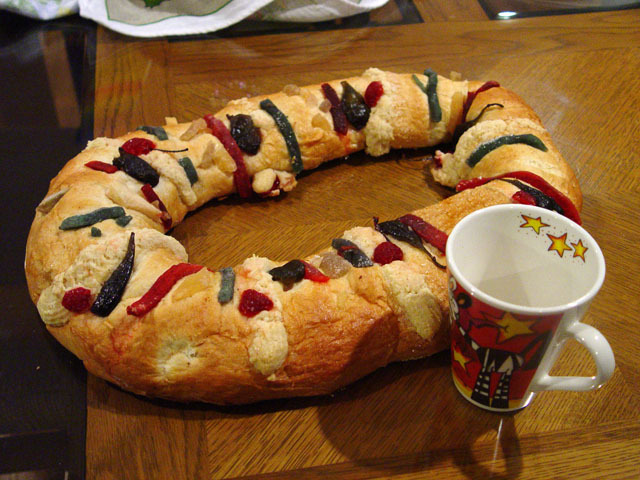 The Feast of the Epiphany is also commemorated with a Rosca de Reyes, an orange and anise scented king cake topped with dried and candied fruit. The fruit is meant to represent the crown´s jewels, and inside the bread is hidden a small figurine of baby Jesus. 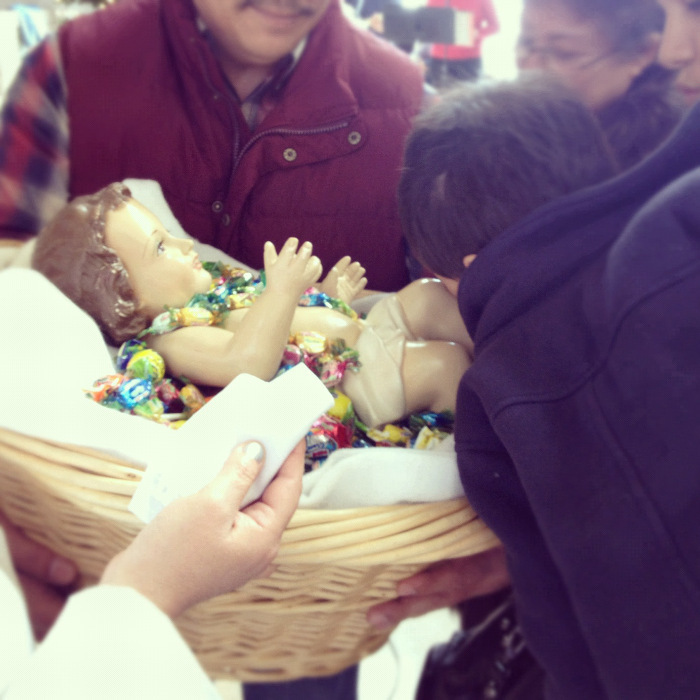 The lucky person to find baby Jesus in their piece of bread is designated to bring tamales on Feb. 2nd to the Feast of the Candelaria, but that´s another story. 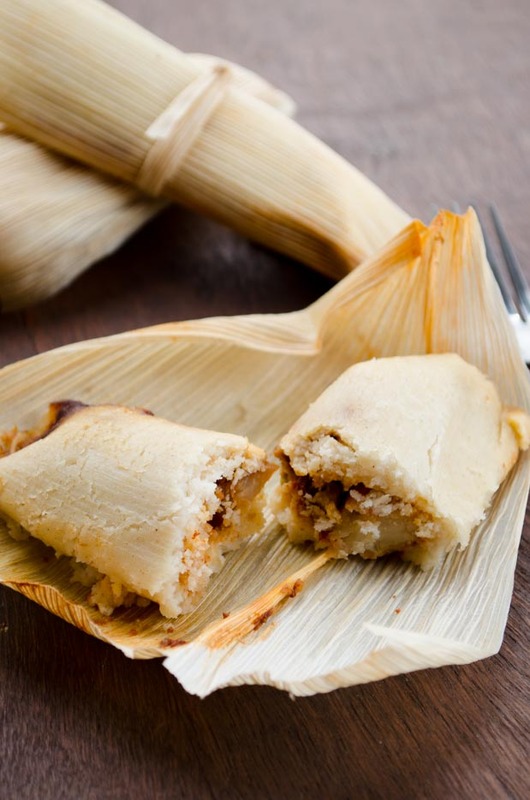 Tamales – Consist of seasoned corn dough (masa) filled with savory or sweet fillings, and wrapped in a corn husk or banana leaf and steamed. Their origin dates back to prehispanic times. The Aztecs, Mayans, Olmecas, and Toltecas prepared them for feasts and as a portable food. Today they are still used in celebrations, such as Christmas. They are the ultimate comfort food for us Mexicans, well at least for me. There are many variations, but in Coahuila, the state where I’m from, tamales are small, filled with shredded meat, seasoned with a salsa made with dried chiles, and wrapped in a corn husk. 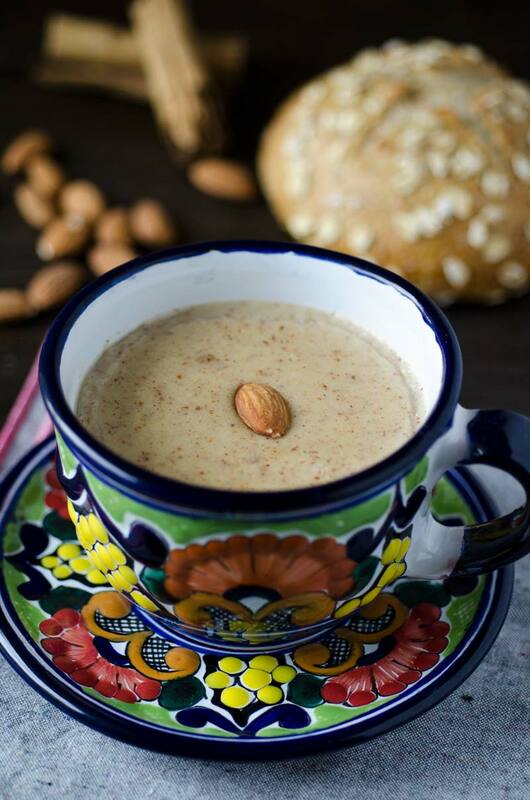 Champurrado: Warm chocolate beverage thickened with corn flour or masa. It can also be flavored with anise, cinnamon, and vanilla. The best part of this drink is that it is made with Mexican chocolate. Mexican chocolate is basically cacao beans ground with sugar and cinnamon, this gives the champurrado a unique flavor that differs from American hot chocolate. 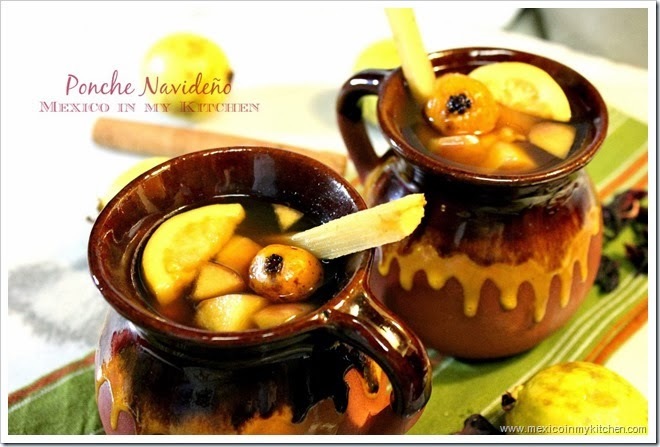 Ponche: Warm fruit punch containing pear, thornapple, sugar cane, guava, prunes, tamarind, orange peel, clove, and cinnamon. Menudo: Beef tripe soup, flavored with a dried chile and garlic mixture, and served with radishes, cabbage, tostadas, lime juice oregano, and cilantro. 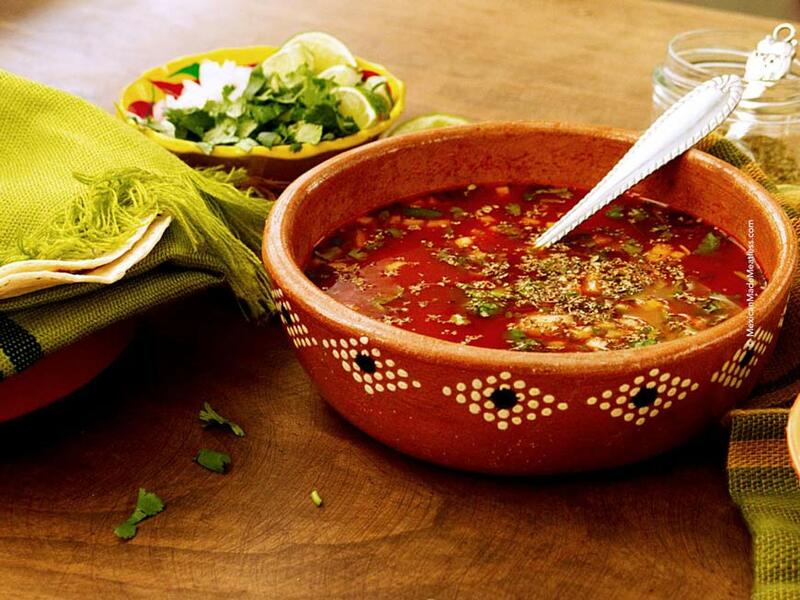 Pozole: Also a pre-Hispanic dish, which consists of shredded beef, hominy, a dried chile and garlic mixture, and served with cabbage, limes, tostadas, radish, cilantro, oregano, and onion. Ensalada de Noche Buena: Christmas Eve salad made with beets, orange segments, peanuts, pomegranate, orange juice, and sugar. 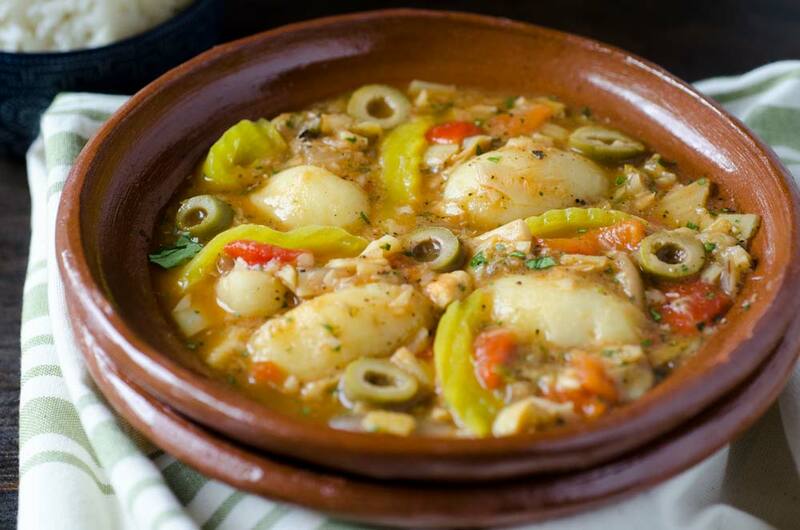 Bacalao a la Vizcaina: Salt cod served in a tomato, garlic, red pepper, and olive sauce. 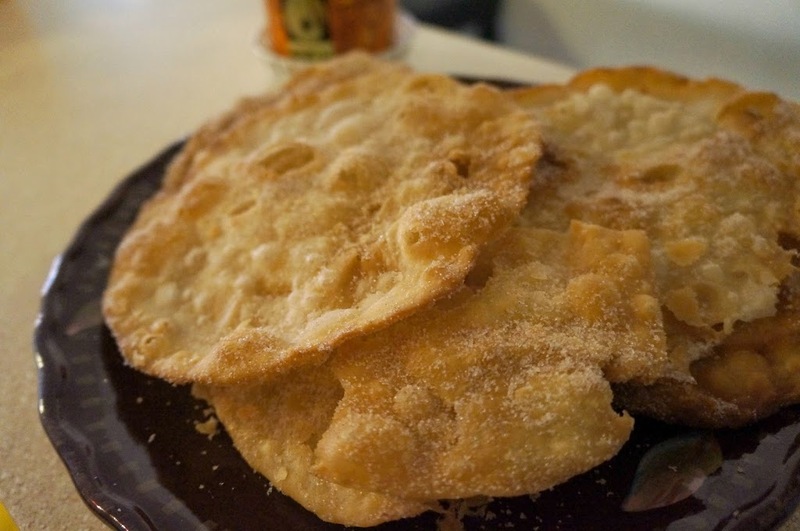 Buñuelos: Orange scented fritters dusted with cinnamon sugar or drizzled with a piloncillo syrup. All these traditions are part of Mexico’s rich culture. What are some some of your favorite Christmas traditions or foods? 12/21/2011 /9 Comments/by Dora S.